During the twentieth century, Sweden developed many weapons at the top of their class despite not being a superpower. From the Swedish K SMG to the AT4, Swedish weapons have won American orders and proven themselves to be excellent in the field. However, one of the most interesting and innovative Swedish designs never was exported. 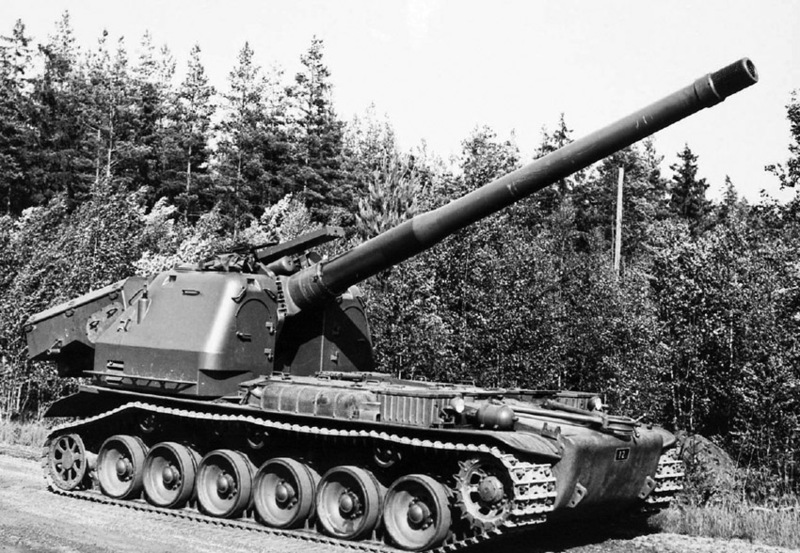 The Bandkanon 1 self propelled howitzer  was a Swedish design with only twenty-six vehicles built. It still holds the records for being the fastest firing artillery system of its caliber . It possessed the ability to empty its entire magazine of fifteen shells within forty-five seconds, a world record. While the Bandkanons were never exported and were phased out of service in 2003, the legacy of their magazine-style loading system lives on in Sweden’s new Archer artillery system. But how can the Bandkanon fire so fast? Why did Sweden desire such a system, to begin with? To answer those questions, we must look at the circumstances that brought about the development of the Bandkanon. 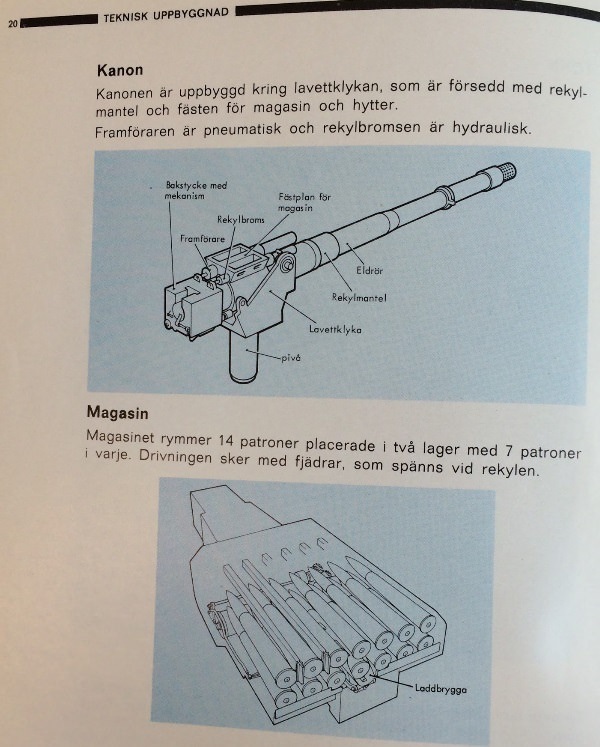 In the late 1940s, Sweden had a desperate need to modernize its artillery, as most of it was turn-of-the-century vintage. For most of the requirements, foreign-designed artillery fulfilled the requirements and was purchased. In contrast, the requirements for a heavy self-propelled artillery piece was set extremely high. This is where the extremely high rate of fire requirement came around, as the HQ wanted a rate of fire of fifteen rounds per minute for the self-propelled artillery piece. The reasons for this are not exactly clear, but some speculation exists. 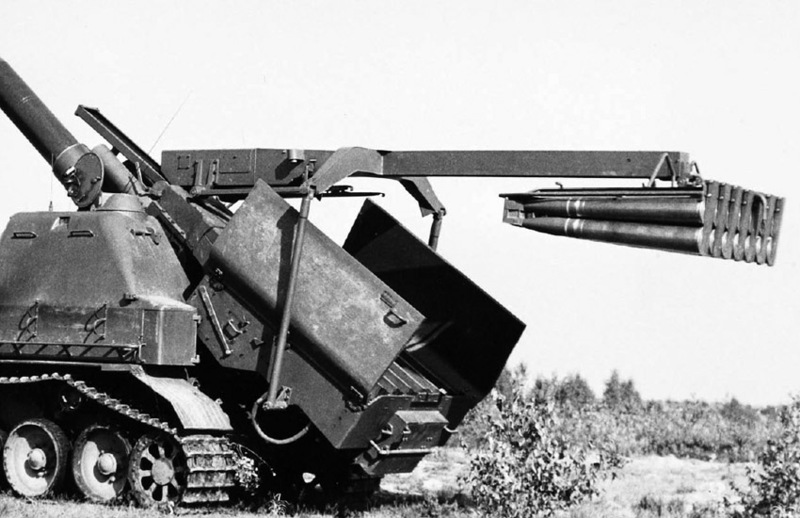 The Swedish military didn’t field multiple rocket launchers (MLRs) (such as the BM-21 Grad or M270 MLRs) during the Cold War at all, so the use of conventional artillery that has similar capability to MRLs would allow the Swedish artillery to fulfill two roles with one platform, making it more economical. 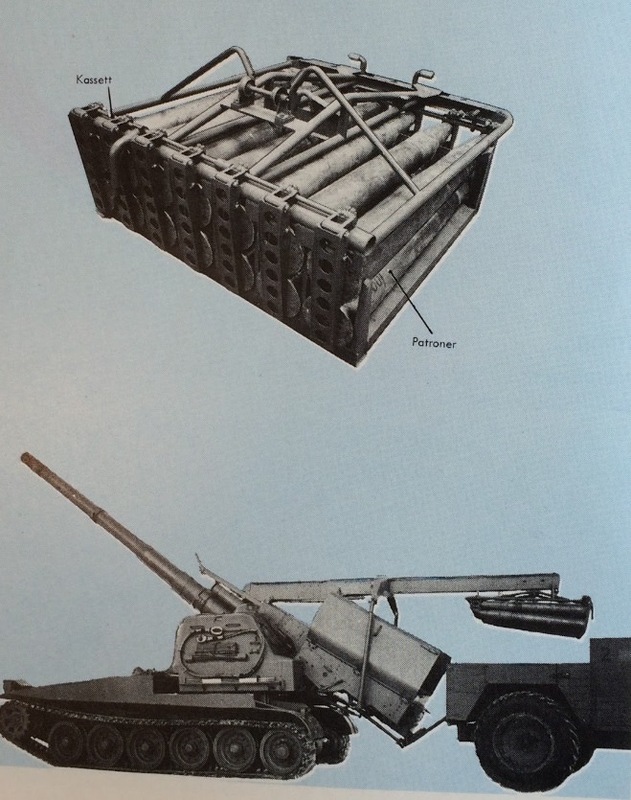 The Bandkanon was also designed with a fast automated loading system that allowed it to prepare for a second fire mission much faster than MRLs. In addition to this, Swedish studies also came to the same conclusion as Soviet ones after WWII: that a fast rate of fire is desirable as artillery inflicts the most casualties at the beginning of the barrage when soldiers have not yet hunkered down in bunkers or fortified positions. To fulfill these requirements, the Bandkanon required a design radically different from existing self-propelled artillery. Most self-propelled artillery at the time was laid out similar to tanks, with the gun breech being enclosed in a manned turret. The Bandkanon did away with that, with the gun being counterbalanced by a massive ammunition compartment on the rear of the turret, with no manual loader. The loading of the gun was done automatically via a rammer that stripped rounds from the magazine in the ammo compartment . This arrangement of all fourteen rounds pointed in the direction of the barrel gave the Bandkanon its incredible rate of fire. By the time the first round impacted the target at the maximum range of twenty-five kilometers, all other thirteen rounds would be in the air. Reloading the Bandkanon  was also incredibly fast, thanks to the built in crane on the rear of the artillery piece. This crane would simply pick up an entire fresh set of fourteen rounds  and place it in the ammo compartment. Manuals suggest that this was almost fully automatic, requiring pressing only three buttons once everything was positioned properly. The entire process of reloading only took two minutes. While this incredible rate of fire was definitely an advantage, to achieve it the Bandkanon made significant compromises. The whole vehicle was incredibly heavy for its time, weighing in in excess of fifty tons. Combined with relatively weak engines, this meant that the Bandkanon could not move rapidly off road or on road. Unlike traditional manually loaded howitzers, the amount of charge could not be altered for the Bandkanon due to the unitary nature of its ammunition. This limited its flexibility in employment, especially on closer targets. Despite these advantages, the Swedish army only procured twenty-six Bandkanons in the 1960s. In the 1970s, the modern FH77 field howitzer became the primary artillery system of the Swedish military. While it too had the capability to rapidly fire, it was not as fast nor as protected as the Bandkanon with its novel ammunition layout.